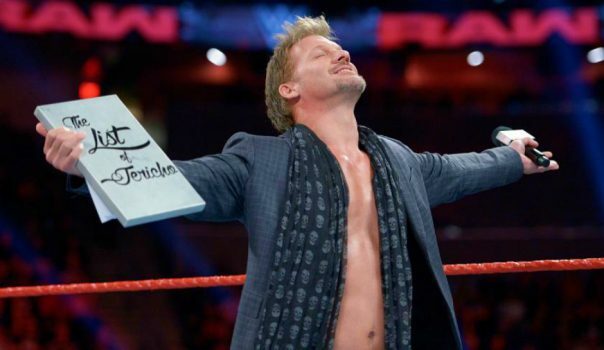 As part of World Class Championship Wrestling, Kevin Von Erich and his family graced television screens throughout Israel on Middle East Television on Saturday nights. To say that professional wrestling was a big deal in Israel in the 1980s and 90s would be a vast understatement. During this time, WCCW was the most popular English-language program in Israel. 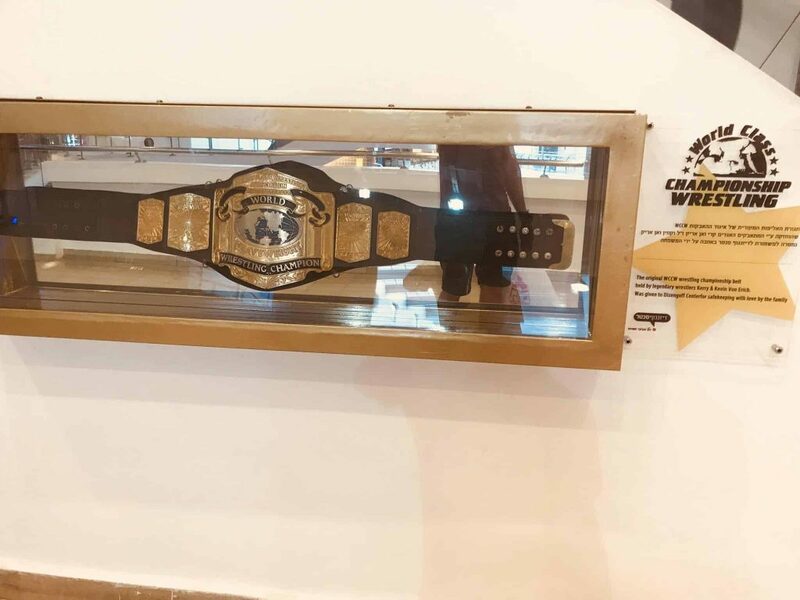 Here we have a championship belt with such incredible history behind it on display seemingly at random in a mall in Israel. 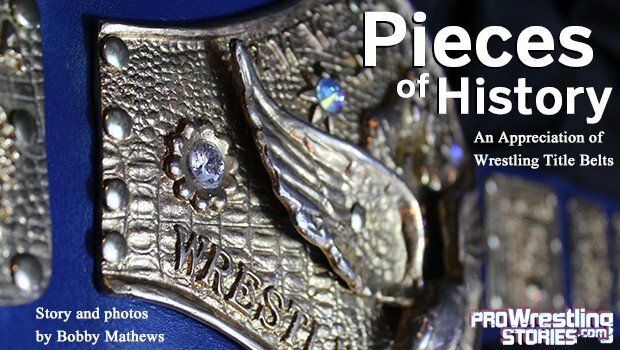 While it may seem peculiar that the belt would be found in an unexpected place like this, there is so much more to the story. 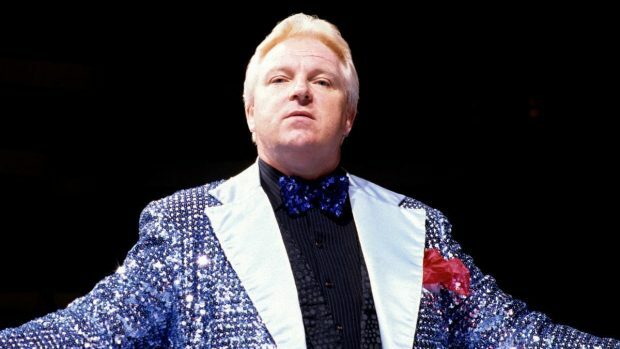 In April 1985, Kevin visited Israel on his own and was met with tremendous fanfare. A few months later, he and his brother Mike ventured out that way. In recognition of this momentous visit, WCCW created a WCCW Middle Eastern Championship, which Mike Von Erich won, defeating Gino Hernandez on August 7, 1985. 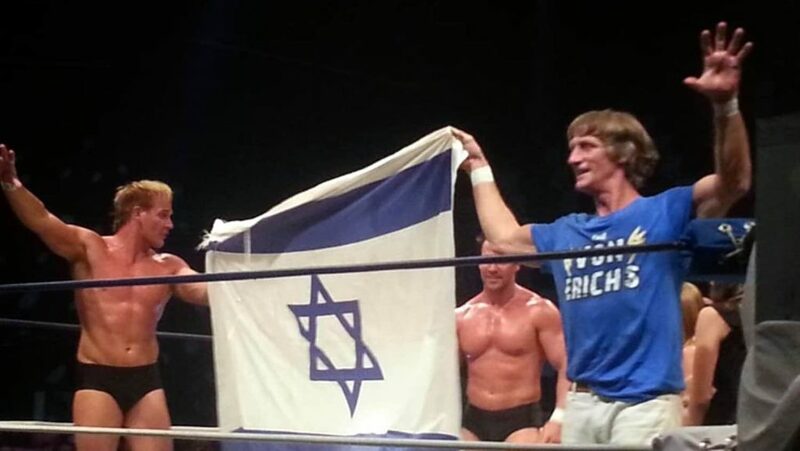 On July 9th, 2017, Kevin Von Erich went back to Israel, wrestling in his very final match with his sons, Ross and Marshall, alongside him. 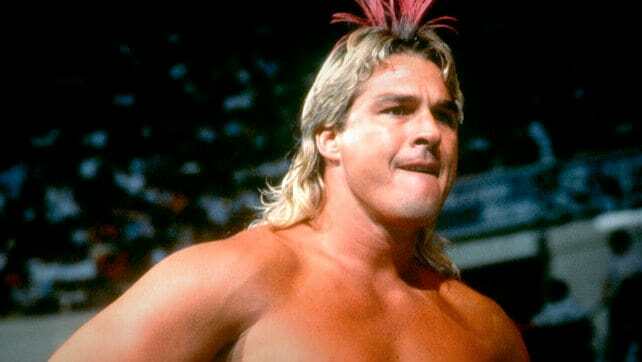 He wrestled against the founder of Israeli Wrestling- Rabbi Swissa (Gery Roif), Marty Jannetty, and Jumping Lee. With more than 1,000 fans in attendance, this was the biggest wrestling event in Israel since WWE visited in 1994. 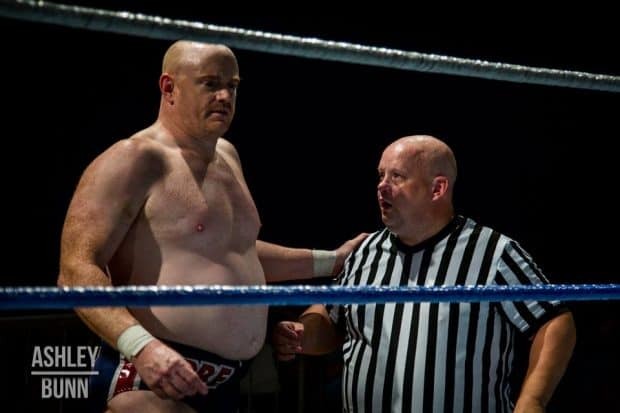 Professional wrestling has a beautiful way of dissolving enemy lines, bringing everyone together. 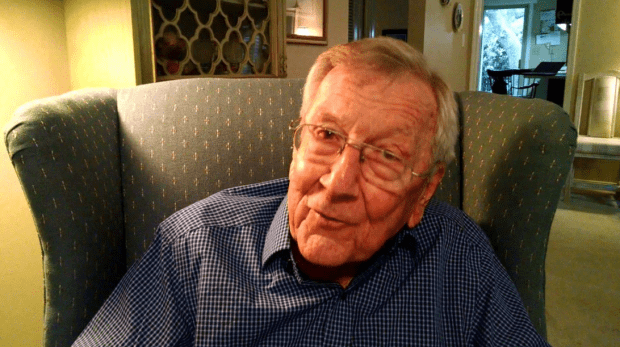 We are very grateful to Kevin for sharing this incredible story with us and for allowing us the opportunity to share it with our readers. Got feedback? 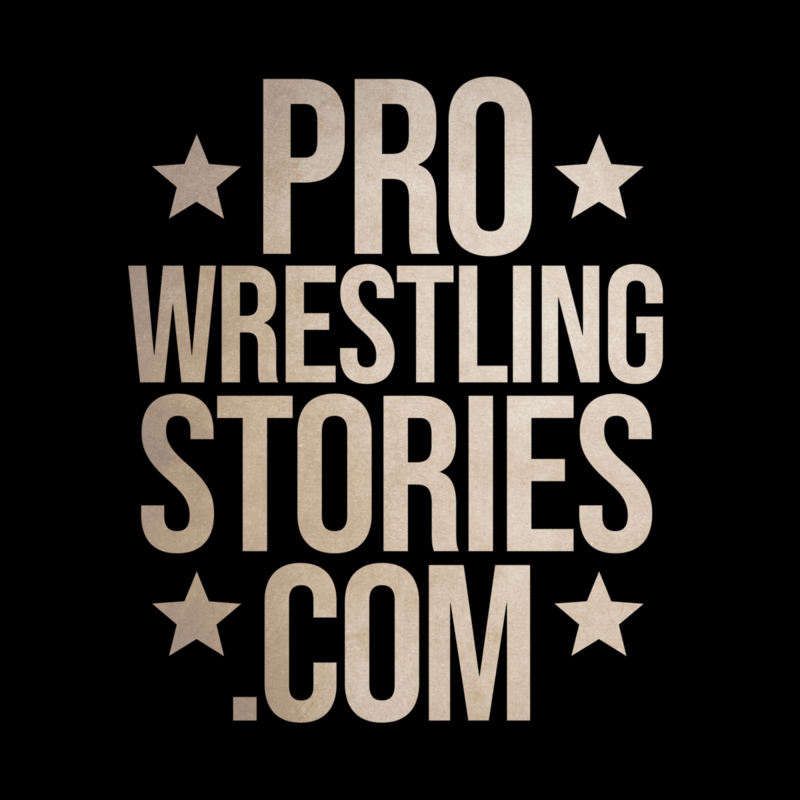 Shoot us a tweet: @pws_official, or E-MAIL. You can also reach out to Kevin Von Erich on Twitter: @KevinVonErich. 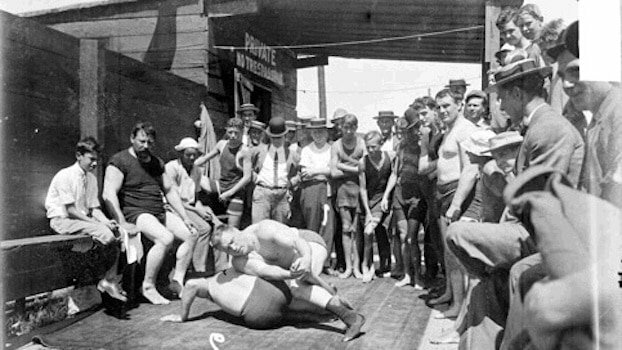 When Did Wrestling Begin and What Were the Very First Wrestlers Like?